For the entire Houston area. Brand New Home Realtor, yes you need a new home Realtor like James. 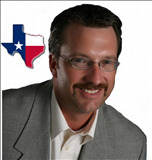 Market Analysis - James will do a complete market analysis on the home you are considering purchasing. This way you will know exactly what the home will be worth, even before they begin the build process. Negotiate – The lowest price the builder is willing to take. Upgrades – Which upgrades will give you the biggest bang for your buck. Energy – Which homes have the best energy saving construction techniques. Inventory – Already built homes, ready to buy. Builders drastically discount these but they are not always the right home for you. We will negotiate all aspects of the transaction for you as well as coordinate the inspections. New Build – From the ground up. James will help oversee the entire construction process and help coordinate the inspections. We can even refer very good new home inspectors for you. Builder Reputation – Which builders are better than others? Our experience with builders. Inspections – Yes, you do need third party inspections on new homes. There are at least three phases of the build that you will need your own inspector. Once these building phases have past, it is too late. We recommend and coordinate the inspections. Coordinate – From contract to close. Negotiating the contract, Subdivision analysis, choosing the lot, inspections, advising on upgrades (that’s where they will get you), inspections, problem resolutions, final walk through, and closing procedures. Compensation – Builders love Realtors and especially New Home Buyer Agents like James. They understand we are experienced new home buyers and we help coordinate the transaction. They compensate us directly with no impact on the price you pay for the home. Using James Potenza to represent you with a new home purchase is FREE ! Walk Away ! - If we feel that the home is overpriced for the area, or is not built to the highest standards, we tell our client to walk away. We know there are other homes out there that are well built and priced to sell and we will advise our client to walk away.